The digital era, reigned by the millennial saw majority of content flowing in that was relevant to them, wherein brands and organizations kept this massive chunk as their target audience keeping the rest on the backseat. Only recently, we saw brands opening their wings to embrace the audience otherwise pushed on the edges. 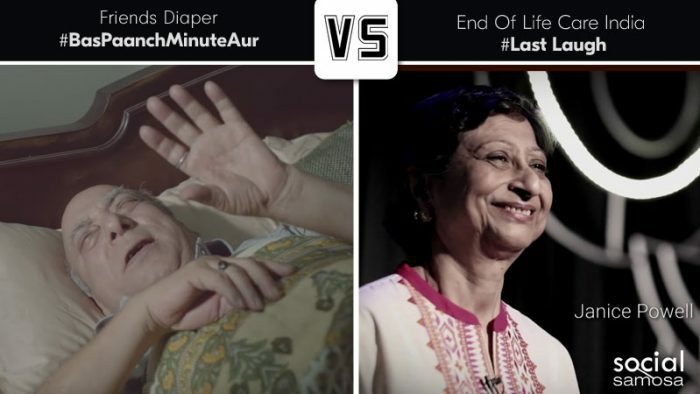 In 2017, with #BasPaanchMinuteAur and Last Laugh, brands produced content relevant to the elderly, creating new social media highs. Shunning the stigmas around incontinence, the film takes us through a concerned relationship between a grandfather and his grandson. The film takes us through how an elderly has disrupted sleep due to his weak bladder. Noticing this, his grandson decides to gift his grandfather with adult diapers, which eventually gives him the peaceful sleep at stretch, hence the hashtag- #BasPaanchMinuteAur, something that the grandson usually says when his grandpa comes to wake him up. 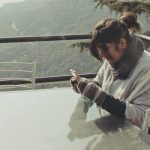 Through this film, the content involves the young generation in their communication, urging them to cater to the needs of their grandparents, thus indirectly reaching out to the massive audience chunk not on the social media platforms. Death is usually not the most appealing topic of discussion for obvious reasons. But with the Last Laugh the brand decided to change this into a topic of gag. Trained by the finest stand-up comedians in the country, End of Life Care India shared a video featuring terminally ill and aged folks performing stand-up comedy for their friends, families and doctors on the topic of death. Hoping to teach us to laugh at the face of death by cracking jokes on their illness, this video shows the positive effect that good palliative care can bring to an ill patient’s life. Both these campaigns, keeping the elderly as their protagonist had a similar motive in mind – stir conversations around issues that are conveyed in hushed tones. The core target audiences for both these campaigns are the caretakers and not the users who are indirectly looped in the chain of communication. Depression being the core topic of discussion this World Health Day, #BasPaanchMinuteAur addressed incontinence and educated how the problem eventually leads to depression. The brand film relied on the foundation of strong storytelling, and left you with a lingering smile at the end. Last Laugh on the other hand, leveraged the growing popularity of stand-up comedy and took the much debated dark humour route. Strong to the tee, the campaign would leave its viewers teary eyed with a message, loud and clear. #BasPaanchMinuteAur trended for five hours, receiving over a million views in just five days and also reached over 232,000 people on Facebook, while the Last Laugh garnered 443,353 views on YouTube, wherein the dark humour and elderly laughing at the prospect of their own death managed to cut through. In comparison, where broadly both these campaigns were parallel in their motives, the Last Laugh slightly went ahead and took the cake for tapping on to the emotions and being one of its kinds in the cluster of content.